According to the Kabbalah, from the ancient union of King David and a succubus was born one of the seven princes of Hell, the demon of lust. 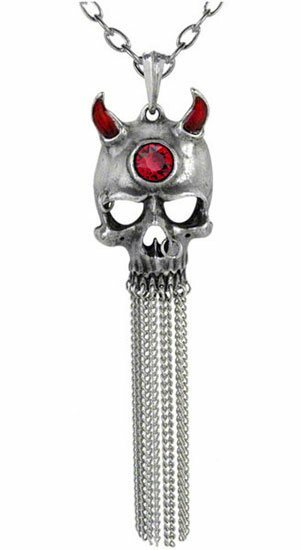 This fully 3D modeled polished pewter skull has red enameled horns and a red Swarovski crystal set into the forehead. Lengths of fine chain drip from the teeth. Approximate Dimensions: Width 0.98" x Height 0.39" x Depth 0.59". Chain Length: 21". 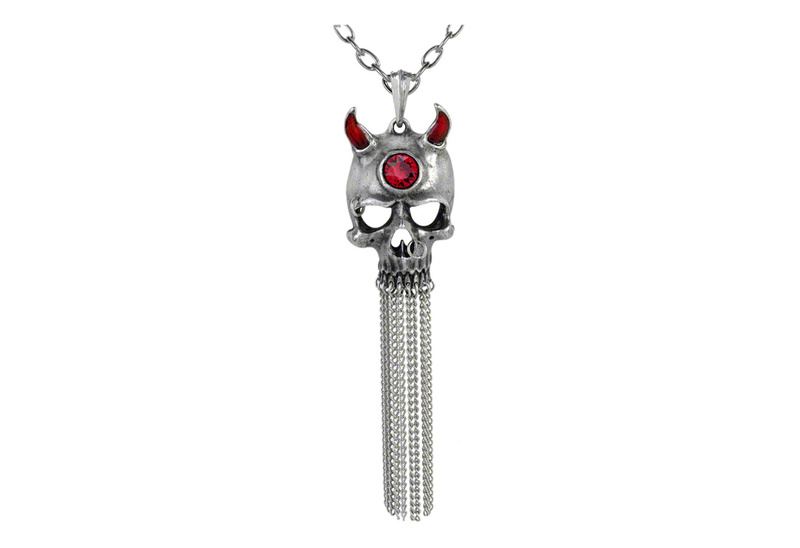 Materials: Fine English Pewter casting with Enameled horns, Swarovski Crystals. Imported from the UK.